The Russian Defense Ministry said the US, the UK and France fired more than 100 cruise missiles at Syria, a significant number of which were intercepted by Syrian air defenses. 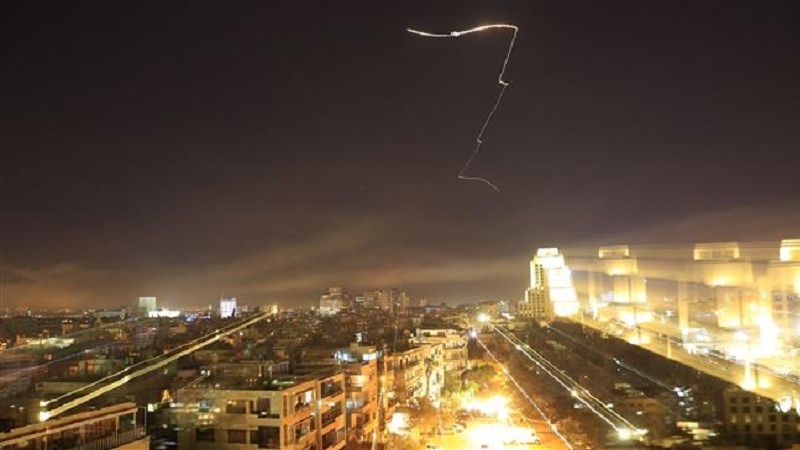 “More than 100 cruise missiles and air-to-land missiles were fired by the US, Britain and France from the sea and air at Syrian military and civilian targets,” the ministry said in a statement quoted by RIA Novosti news agency. The ministry also said the Russian missile defense systems deployed to Syria were not involved in intercepting the missiles. A pro-Damascus official told Reuters that a third of the missiles fired in the aggression had been shot down, and that the targeted sites had earlier been evacuated upon Russia’s warning. In the early hours of Saturday, the United States, Britain and France carried out a wave of military strikes against multiple targets in Syria, using an alleged chemical attack near Damascus last week as a pretext to justify the campaign. Trump embarked on a White House address to announce the action. On Saturday morning, a group of Syrian people gathered at Umayyad Square in central Damascus to protest the US-led air raids on their homeland.